It's time for a GIVEAWAY! Woo hoo! 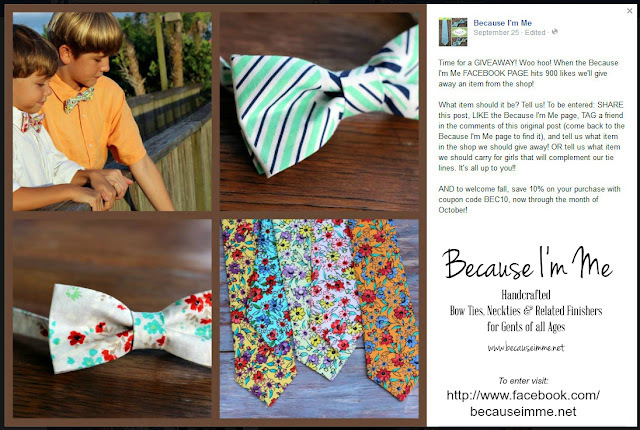 When the Because I'm Me Facebook Page hits 900 likes we'll give away an item from the shop!